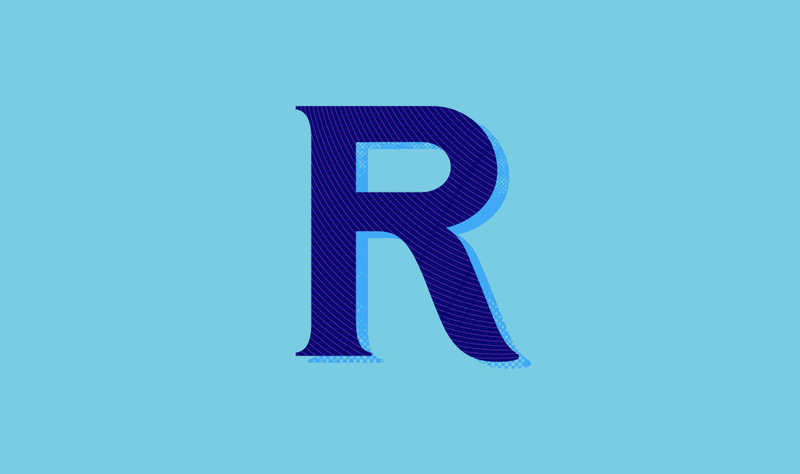 This rather vernacular 'r' was inspired by one of the many random fonts from a small collection of food packaging, lurking at the back of a cupboard. Fortunately empty, it's a jar of four-year-old Italian fruit syrup - which would have been rather robust by now. Hopefully our 'r' isn't past a sell-by date.